Medieval to Metal: The Art & Evolution of The Guitar celebrates the artistic development of the guitar. 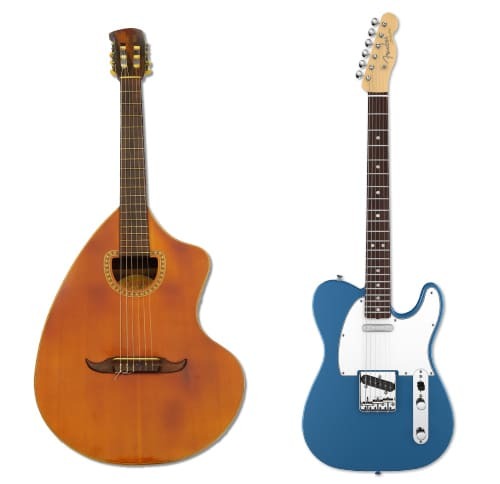 Developed by The National GUITAR Museum in New York, New York, it features 40 objects, ranging from the rare and antique to the wildly popular and innovative. The exhibition explores all facets of the world’s most popular instrument, from its history as an instrument of popular culture over the past four hundred years to modern efforts to reinvent the guitar with different materials, shapes, and approaches to design. Spanning centuries of design and craftsmanship, the exhibition takes visitors through the history of an object that is one of the most recognizable items on the planet. Organized by The National Guitar Museum in New York, NY.